Sad, indeed. In two decades of acting and modeling—plus-sized modeling, to be specific—I’ve definitely experienced my share of tokenism (as has our supermodel editor, Veronica Webb). Sometimes it’s being cast as the cute-but-not-at-all-threatening sidekick/accessory; more often, it’s as the sole black girl in major campaigns. It seems that there’s rarely ever room for more than one, a fact Rihanna references here. It’s reductive and ultimately divisive when you think about how many beautiful, talented and worthy black women there are in the game. What Rihanna touches upon here is the nuance of a politically correct practice that is simultaneously necessary and dehumanizing. Brands need diversity to show that they’re inclusive, but it’s rarely a moral decision; it’s usually an economic one. But with black women holding down 22 percent of the American beauty market, we not only deserve better, we deserve more. We deserve to be viewed as more than quotas. We’re human, like everyone else, and we like to be pretty, too. Obviously, the same is true of trans women—not to mention the multitudes of black trans women. Here at The Glow Up, we respect and hope to represent all iterations of black womanhood, so trans representation is important to us. But what we’re not going to do is strategically tokenize our trans sisters. Diversity of expression in womanhood should be organic—and, above all else, human. When and where we enter should be at our own pace and comfort. Which brings me to another important point that Rihanna touches on here: privacy. In my discussion with Veronica about this issue, she recounted working with all types of trans models during her storied career, most memorably, Teri Toye. The truth is, the fashion industry had a “Don’t ask, don’t tell” policy as deep (yet, not as damaging) as the military’s. Fashion has long been a space where all gender and sexuality types—if not body types—could peacefully coexist and thrive at whatever level of exposure they felt comfortable with. We’re thrilled to see it expanding to openly acknowledge all types of identities, and consider the space we’re creating no different. 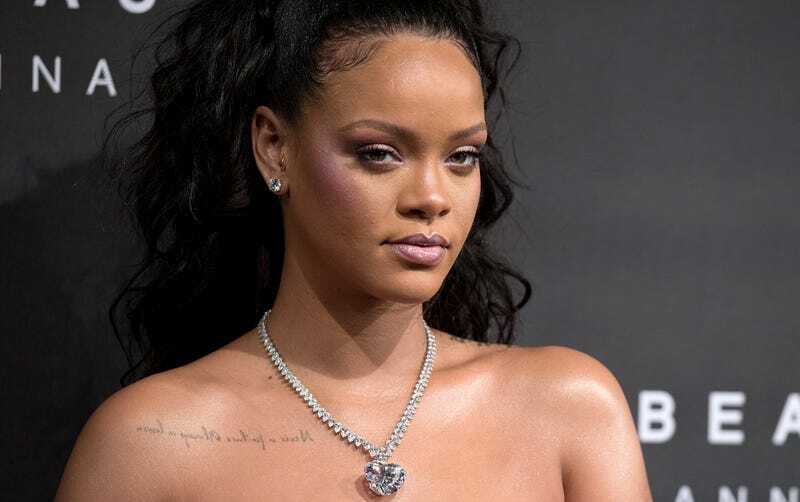 But what we love most about how Rihanna used her celebrity privilege and black female perspective to enlighten this fan is her rejection of the notion that anybody—that is, any body—should be used as a marketing tool. For those of us truly seeking to create a more inclusive world, not just for the sake of optics, clicks or revenues, it was truly refreshing.